Spoil your Mum with Jurlique this Mother's Day by choosing from a selection of Jurlique Mother's Day sets which are the perfect thank you present, for your mum this Mother's Day. In Full Bloom Rose Hydrating Duo: The Rose Hydrating Duo contains two of Jurlique's iconic Rose products, Jurlique's #1 product, Rosewater Balancing Mist 30mL and Rose Love Balm 15mL. Rosewater Balancing Mist 30mL - A hydrating mist to refresh skin and senses. A daily hydrating mist featuring the relaxing scent of rose that restores and hydrates the complexion and is ideal for normal/combination skin types. Rose Love Balm 15mL - Give your skin the moisture it deserves. A natural salve that moisturises, softens and protects dry and chapped skin. Infused with the natural scent of roses. All about Rose Deluxe Rose Set: Rebalance your body and soul with an indulgent experience for your senses through potent botanicals and nourishing plant oils. This indulgent deluxe Rose set contains a selection of Jurlique's best selling Rose products, including Rosewater Balancing Mist 100mL, Rose Shower Gel 300mL and Rose Hand Cream 125mL. Rosewater Balancing Mist 100mL - A hydrating mist to refresh skin and senses. A daily hydrating mist featuring the relaxing scent of rose that restores and hydrates the complexion and is ideal for normal/combination skin types. Rose Shower Gel 300mL - An uplifting body cleanser to refresh and comfort. A cleansing foam with the relaxing scent of rose that leaves skin clear, fresh and hydrated. Rose Hand Cream 125mL - A rich hand cream with Rose, Calendula and Viola, for intense and long lasting hydration. Hand Picked Hand Creams Duo: A duo of indulgent hand creams to deeply hydrate and restore smoothness, containing Rose and Lavender Hand Cream 40mL. Rose and Lavender Hand Cream 40mL - Rich hand creams in Rose and Lavender for long lasting hydration. Pick of the Bunch - The Favourites: Boost your skin with the power of nature. 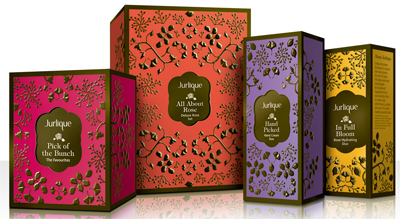 This set contains 2 of Jurlique's best selling products, loved by customers and celebrities all around the world. Herbal Recovery Gel 30mL - A potent antioxidant concentrate to help protect skin and restore radiance.